You are a warrior driver from a dystopian civilization, where robots have taken over places that used to be inhabited by humans. Your mission is to explore one of the cities, where you will discover your fate by shooting rockets, bullets, energy waves, plasma balls and laser beams! Rough Rush alpha is available for Windows, Linux and Macs on Gamejolt. Experience an action-packed gameplay by blowing up enemies and obstacles in your way! Rough Rush is simple enough for anyone to pick it up and play, yet it takes time to master - avoid obstacles, collect gears, shoot/smash robots and complete tasks to earn gears as well as live through an original story. Roller coaster roads: there are plenty of twists and turns, which not only make your head spin, but also impact your ability to shoot down the robots. Cool cars: every car has a unique design and properties; you will learn that some cars are more durable, some are easier to control when damaged while some can send enemies flying through obstacles with great force. Fun Power-ups: shield protects you against any damage, invisibility allows you to move through objects on the road, flying device enables your car to lift up while turbo boost makes you invincible and super fast. 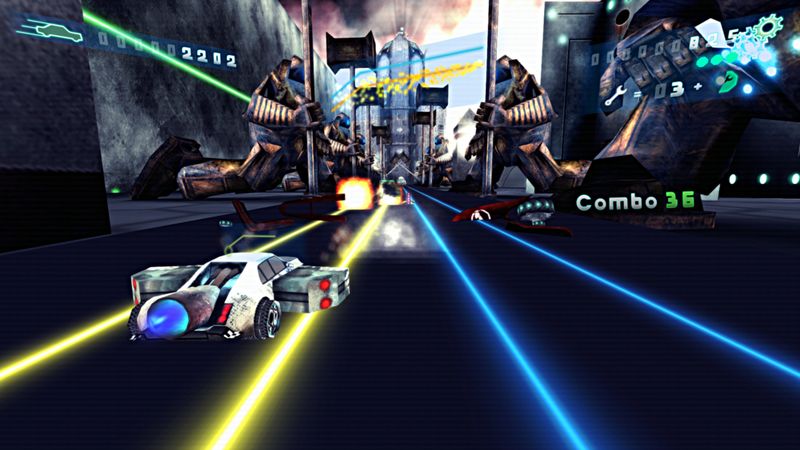 Crazy weapons: shoot rockets, bullets, energy waves, plasma balls and laser beams! Exciting tasks: pick up task boxes on the road to earn gears. The further you get, the more challenging the tasks become. Artful story: the story is told through dynamic digital paintings with a distinctive style. Unique menu: choose/unlock districts (levels), cars, add-ons, upgrades and more in a visually immersive menu. Secret secrets: If we'll tell you, they would no longer be secrets, but let's just say that 30 minutes of gameplay will not be enough to learn them! There you will find more GIFs, screenshots and wallpapers from the game.